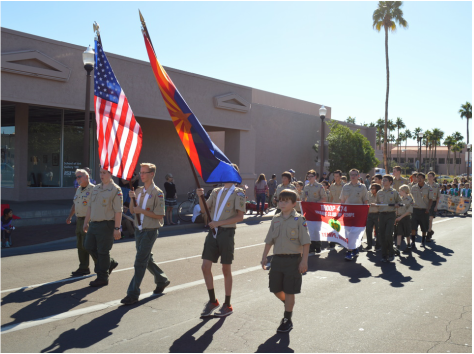 Troop 474 has a long history in Tempe, Arizona. 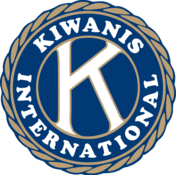 We are grateful for our sponsorship by the Kiwanis of Tempe. During the school year (August - May) we meet at Fees College Preparatory on Tuesday evenings from 7:00 PM - 8:30 PM. During June and July we meet on Thursday evenings at Desert Cross Lutheran Church. ​We are a "Boy Led" troop focusing on the development of future leaders. Any boy is welcome at Troop 474! We have numerous family events throughout the year, as we feel the family bond helps develop and strengthen the scouting experience. Empowering boys to be leaders is the core of Scouting. Scouts learn by doing, and what they do is lead their patrols and their troop. The boys themselves develop a troop program, then take responsibility for ﬁguring out how they will achieve the goals. One of our most important challenges is to train boy leaders to run the troop by providing direction, coaching and support. The boys will make mistakes now and then and will rely upon the adult leaders to guide them. But only through real hands-on experience as leaders can boys learn to lead.